One of the reasons I love Japanese sewing patterns is their simplicity. The clean lines are perfect for showcasing beautiful fabrics, whether it’s a printed silk or a plain organic linen. 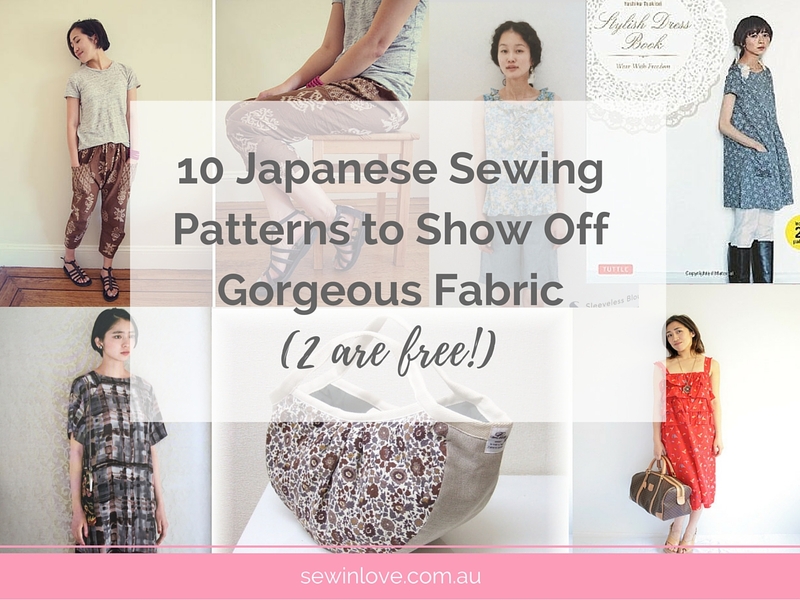 Today’s I’ve put together my top Japanese sewing patterns so you can finally use that too-pretty-to-cut fabric hiding in your stash! The flared shape of this dress lets you use use big, bold prints. This is a wonderful book – I’ve had the Japanese version for years. I’m so happy it’s available now in English! From the same awesome book as above, I made this dress years ago using cute nautical print fabric. So many of Yoshiko Tsukiori’s Japanese sewing books seem to get translated into English, but there’s lots more amazing pattern makers in Japan. Tatsuya Kaigai is a fashion designer and the author behind Sweet Dress Recipe. His designs in this book are full of lace, ruffles and gathering done in an elegant way. I thought this simple skirt with gathered pockets would be an easy project to show off a pretty floral fabric. Clover is a manufacturer of sewing tools and accessories. There’s a few free sewing patterns on their website, and this one is a cute one to try. 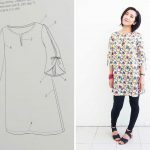 I’ve made this dress and translated the instructions into English over on my Japanese sewing website. This is a super cute dress I have been eyeing for a while now. My mum recently gave me a very similar blue floral fabric to the book, so I might just have to go ahead and make this dress, finally! Another great pattern from the same book as above. You have probably already seen this dress I made from silk with a lovely print. It was my first crepe de chine project and it was very difficult, but I’m glad I struggled through and made it in the end. Happy Homemade Sew Chic is a great book for those new to Japanese sewing patterns. The designs are very simple and beginner friendly. Smaller prints and maybe even a gingham check fabric would be perfect for this delicate blouse. This pattern, again from Happy Homemade is so easy to make! I used a tribal print batik fabric to make these pants. Silk chiffon is used to make this elegant dress. I can imagine the fabric being very tricky to deal with, but maybe there’s a sewing hack out there to deal with slippery fabric? 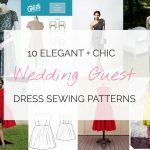 If you’re new to Japanese patterns, or would like to learn the Japanese method for sewing garments (and adding seam allowance! ), check out my ebook How to Sew Japanese Sewing Patterns. You can download a free sample of the ebook here. What pretty fabrics have you got stored away in your stash?